News recently broke that Tim Burton is in talks with Warner Brothers to direct a new live-action Pinocchio with Robert Downey Jr. possibly set to star. This feels like the umpteenth time the children's book has been adapted in some form, however the ever so popular trend these days is a new twist, and here we will see the story of Pinocchio told from Geppetto's perspective. 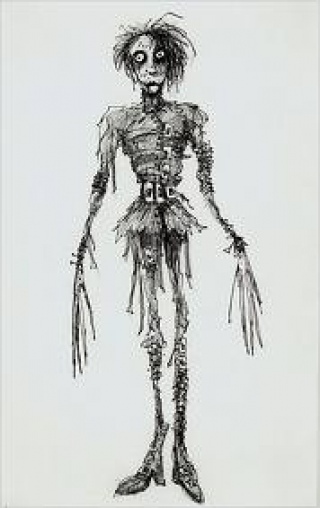 Despite of my lack of enthusiasm for this "new" version of Pinocchio, the news reminded me how badly I long for another original Tim Burton story. It seems like it has been forever, has it? 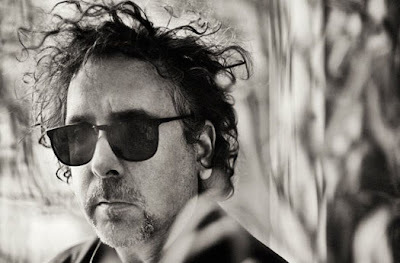 Over the last decade Tim Burton has directed eight movies (counting the stuff he's still currently in some form of production on), out of those eight movies, three have been original (one is actually a remake to Burton's own short Frankenweenie). So technically, only two movies have been original content, "Corpse Bride" and "Big Fish." The latter is last film of Burton's I not only enjoyed but loved and that was eight years ago! Most of Burton's best work has been from his own creations, not his twisted interpretation of some pre-established property. Outside of Batman and Pee-wee, every property he has taken on has ended up underwhelming. Titles like Planet of the Apes, Alice in Wonderland, and Charlie and the Chocolate Factory all do nothing but leave me with a bad memory, meanwhile titles like Edward Scissorhands, Mars Attacks!, and Beetlejuice leave me with a whopping smile on my face. I crave those original stories. Even though Burton did not direct, The Nightmare Before Christmas is another perfect example of how powerful Burton's originality can be. Back in October, on Halloween to be specific, my family and I went to see the Tim Burton exhibit at LACMA. This was a collection over his lifetime, from drawings to actually props from movies. Walking through this exhibit was extremely bitter-sweet. You saw just how many great ideas this visionary has had over the years. The art show was set up much like a timeline of Burton's life and there was this point when the exhibit lost its luster. Oddly enough that was right around the turn of the century when Burton got lost in remakes and adaptations. The collection gets real thin at this point too, no more elaborate and imaginative drawings just uninspired movie props like the straight-razors from 'Sweeney Todd' or the helmets from Planet of the Apes. It made me question if Burton's creative juices are dwindling. Has he lost his bone-daddy mojo? Where are the original stories like 'Scissorhands' and The Nightmare Before Christmas that awed us? It seems we have entered a phase in Burton's career where he's happy just adapting the things he's always liked and not creating anything original. He just finished up shooting "Dark Shadows" an adaptation of a old Gothic TV show, prior to that was 'Sweeney Todd' and 'Wonderland,' both of which I'd rather forget. Alice in Wonderland made Disney enough cash that they agreed to let Burton develop a full-length version of Frankenweenie, which should please the Burton die-hard, but truthfully it works fantastically in short format and I'm not so sure we need 90 minutes of it. What we do need is Burton to dream up something new and original again. Hell I'd be interested in seeing him do another biography-style movie like Ed Wood. 'Wood' still happens to be my favorite movie Burton and Depp collaborated on. Sadly it has become clear over the last decade that Tim Burton is in the business of making movies not making really good stories and this realization hurts. It is like losing a good friend. Since I was eight years old I followed Burton's every development. I remember begging my mom to take me to see Beetlejuice, the new movie from the director of Pee-wee's Big Adventure, and I want that feeling again. I loved Burton, now I just reminisce about the good old days. What makes this hurt even more is to know that Burton has enough pull and clout to challenge the studio system with some original content again. He doesn't have to continually regurgitate older stories with Burton's style. He could make actual new Burton material but does he want to? I'm starting to believe that Burton is just fine being a cog in the studio wheel continually turning out re-imaged property after re-imaged property.